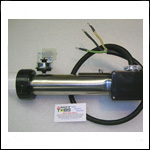 We stock a large selection of Emerald Spa parts and accessories including heaters, filters, jets, electronics and more. 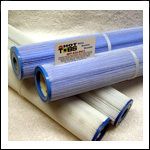 We specialize in replacement jets for Emerald Spa hot tubs and stock a ton of them including all flavors of Pentair, Hydro Air and CMP brand jets. 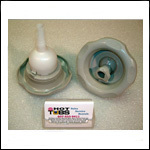 Contact us if you don't see what you're looking for. 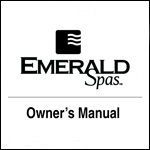 We are also a authorized Emerald Spa dealer and sell the entire line of Emerald Spa models. An Emerald Spa provides a wonderful environment for relaxation, revitalization, and recreation. Emerald Spa's pioneering designs, state-of-the-art engineering, highest quality construction, and customer-driven amenities have set the standard for performance and value in the industry. Headquartered in Kentwood, Michigan, Emerald Spa Corporation has focused on a single goal - maximizing the spa ownership experience - for more than 30 years.